Cowes is arguably the foremost centre for yacht racing not just in the UK, but around the world. The first week in August each year sees the Cowes Week Regatta that has been running since 1826. 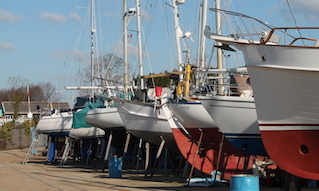 This involves up to 1,000 boats with some 40 races each day, run by all the Cowes Yacht Clubs in turn. The largest number of competitors in a single race, however, is seen in June when over 1,700 boats crewed by some 16,000 sailors race round the Isle of Wight. This is the fourth largest participation sporting event in the UK. 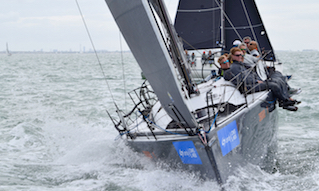 Both Cowes Week and the Round the Island Race see family-crewed boats competing on level terms with International-standard professional crews. These two great events are just part of yacht racing in Cowes. Smaller regattas, for the Cowes Racing Fleets, such as the Cowes Keelboat Solent Series and Cowes Keelboat Championship, take place most weekends between Easter and late September, and others, such as specific class regattas, during the week. The racing season now extends throughout the year, including on Boxing Day. Close coordination between the local clubs is needed to ensure that no conflicts with courses and start times takes place. 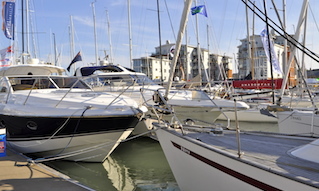 Whilst all clubs have their own starting and finishing lines in Cowes Outer Harbour, many races are run from committee boats that are able to manage races more widely afield. 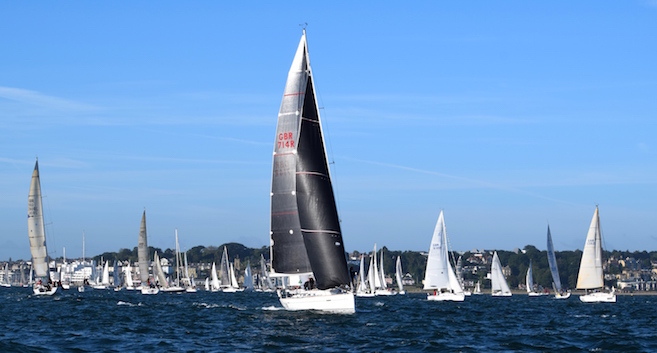 In addition to the major regattas, racing also takes place off Cowes from April to early September on Tuesday evenings with the Island Sailing Club and on Thursday evenings with East Cowes Sailing Club. 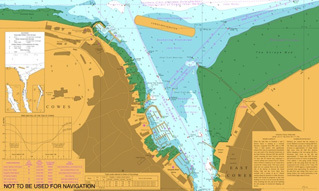 The main shore-based Start Lines, marked on Admiralty charts, can be avoided by visiting yachtsmen by using the Cowes Small Craft Channel to the east of the main fairway. 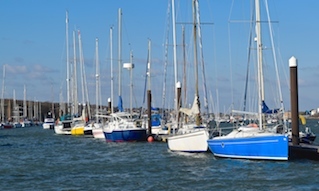 Race officers are required to coordinate with commercial shipping traffic to minimize the risk of conflicts and watch is kept on Cowes Harbour Radio VHF Channel 69. Racing yachts are required to comply in full with the International Regulations for Preventing Collisions at Sea. However, it is good seamanship that vessels that are not racing keep clear so far as practicable from starting and finishing areas and avoid impeding racing yachts as much as possible. 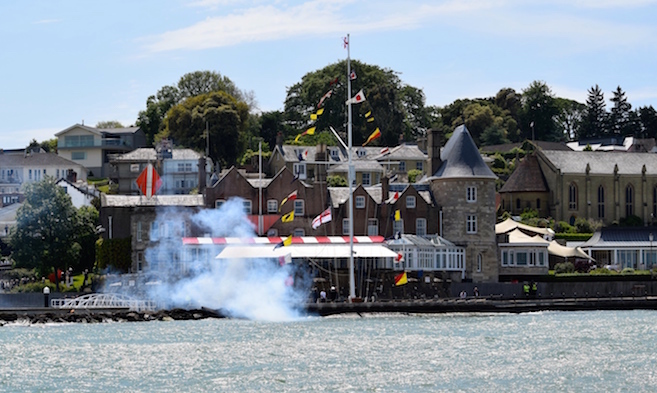 For spectators ashore, the viewing points in front of the Royal Yacht Squadron and on The Green can provide close-up sight of the sailing action and good opportunities for photography. Top photo: Royal Yacht Squadron, Cowes.